In commemoration of Airman’s 80th anniversary held recently, LAUGFS International was recognised with an appreciation award for the exceptional performance showcased as a high performing distributor. The anniversary celebrations took place following an official visit by Hitoshi Miyake, Director Airman Japan and Hitoshi Watanabe, Director and General Manager, Overseas Marketing at Airman Japan. Employees at LAUGFS International were recognised and rewarded for their outstanding contributions, while accolades were received in the presence of Watanabe and Miyake. Since 2016, LAUGFS International has served as a distributor for the internationally recognised Airman power products portfolio, and has been providing original Japanese Airman generators within a 10KVA - 555KVA range. The Airman portfolio has established a strong market in Sri Lanka with island-wide operations, providing high quality generators manufactured to suit urban environment conditions. LAUGFS International has supported the Airman product portfolio through its 24-hour technical support and service made available throughout the island. Being a quintessential product range for industrial and commercial purposes, the company’s in-house team of experts are equipped with comprehensive technical knowledge. “We have been growing rapidly over the past two years with increased sales for the Airman power product portfolio in Sri Lanka. Our team has consistently backed the Airman portfolio with unwavering dedication to provide reliable generators with minimum noise levels,” said LAUGFS International Chief Executive Officer, Wasantha De Silva. “At LAUGFS International, we feel it is imperative to provide customers with a diverse range of products and services. 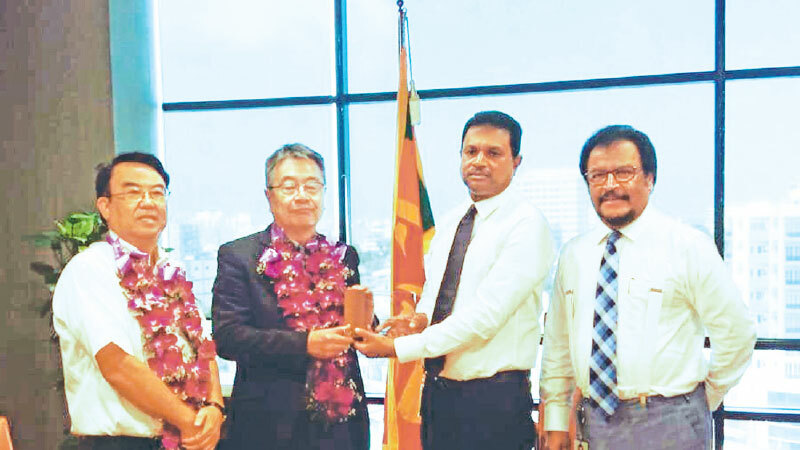 In Sri Lanka, there is a strong demand for products manufactured in keeping with international quality standards and this is why we are delighted to be the authorised local distributor for an international brand name such as Airman,” he further remarked. LAUGFS International is the trading arm of the diversified conglomerate, LAUGFS Holdings. Its portfolio includes Airman and Yamaha power products, Fujitsu batteries and Denso service parts.